The Bank of Ireland has questioned the validity of CCTV footage secretly recorded by Mid Ulster businessman John Conway when his company, Meteor Electric, collapsed six years ago. The recordings were the subject of an explosive BBC Spotlight programme and were made after the bank sent officials to its offices to chase up money that the business and the bank were owed. The footage shows how one employee was secretly filmed discussing a fraudulent insurance claim as a way to recoup losses surrounding a collapsed business. 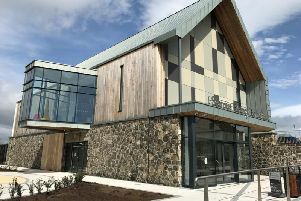 The Cookstown businessman said, in relation to allegations of fraud made against him by the bank, “ongoing litigation will provide me with a welcome opportunity to demonstrate that these allegations...are wholly without foundation”. He urged anyone in a similar position to “come forward and tell their story”. “Only by speaking together will this activity cease”, added Mr Conway.